How do I view grading periods in a course? If your course supports Multiple Grading Periods, you can use grading periods created by your Canvas admin. Grading periods consist of a specific date range that define the grading period, including the close date when you are no longer allowed to edit grades in the grading period. Grading periods may also be weighted. However, the dates of each grading period can only be viewed as part of the Grading Schemes page. You may need to view the grading period dates to view how your admin has defined the grading periods. You can only edit grades in a current or future grading period. Once the close date for a grading period has passed, you cannot edit grades for the prior grading period. The close date may be the same date as the end date, or may extend past the end date. In the Course Details tab, locate the Grading Scheme heading and click the view grading scheme link. 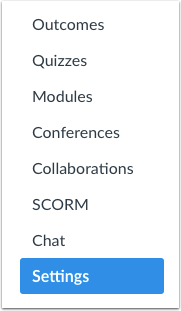 Note: If a grading scheme is not already set for your course, you can view the grading scheme link by selecting the Enable course grading scheme checkbox; the link will display as set grading scheme. 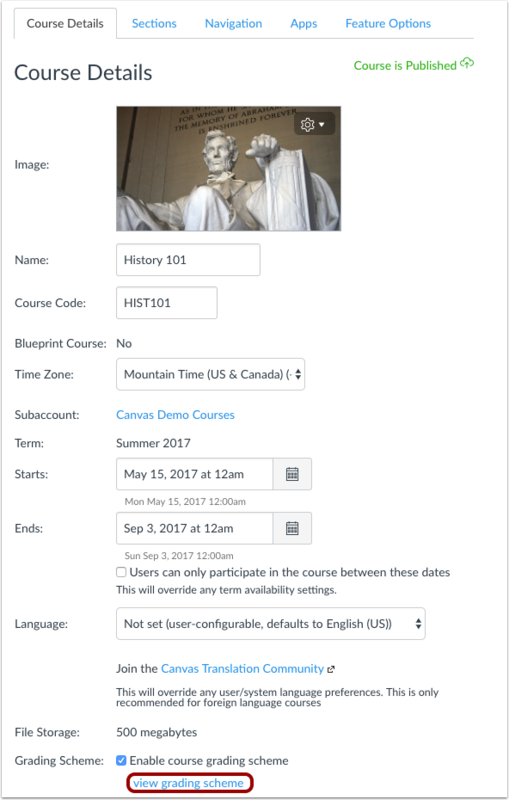 A course grading scheme does not have to be enabled to view the grading periods. 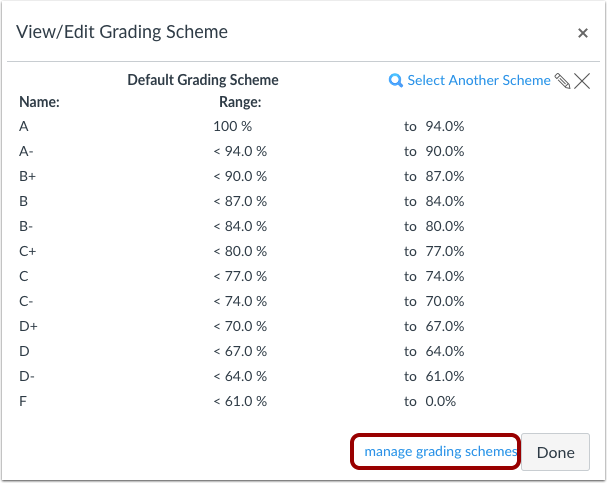 Click the Manage Grading Schemes link. In the Grading Periods tab, any grading periods created by your admin display the grading period names , start dates , end dates , and close dates . If grading periods are weighted, you can view each grading period's weighted percentage . Grading period data is read-only. Previous Topic:How do I add a grading scheme in a course? Next Topic:How do I customize visibility options for a course? Table of Contents > Settings > How do I view grading periods in a course? Re: Will changing weights for 2nd quarter impact 1st quarter grades already assigned?